A rewarding activity that is easy to organize! It’s the percentage of groups that complete a bike drive, that decide to repeat the experience! You are a teacher, a cycling club, a social club, a youth center, a solidarity organization or simply a group of citizens that wants to get involved with a good cause! Organizing a bike drive is a concrete way to help families in need in developing countries and to educate young and old alike about the environment, sustainable development and international solidarity. How does a bike drive with CNS attendance work ? 1. Cyclo Nord-Sud arrives the morning of the bike drive with everything you need to receive donors, including tools, donation forms, etc. 2. Cyclo Nord-Sud evaluates the bike(s), then a volunteer provides the donor with an official receipt for a tax credit. 3. 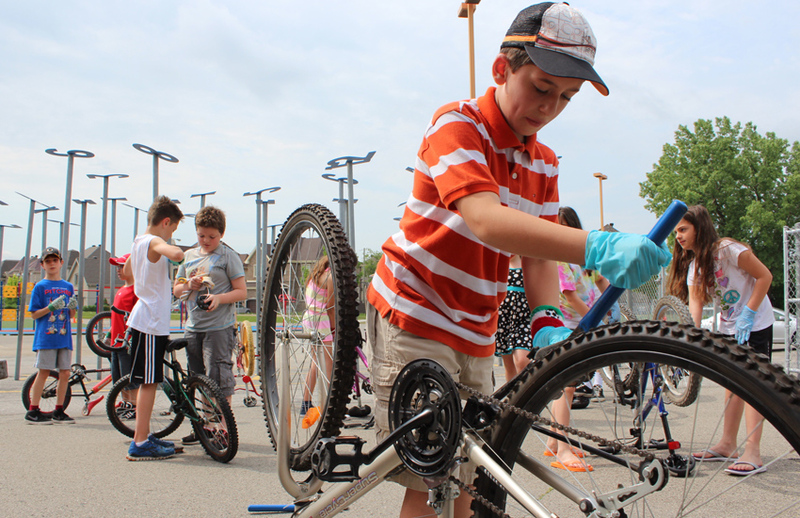 We remove the bicycle’s pedals and loosens and turns the handlebars sideways to make storing the donated bicycle in a truck or container easier. 4. 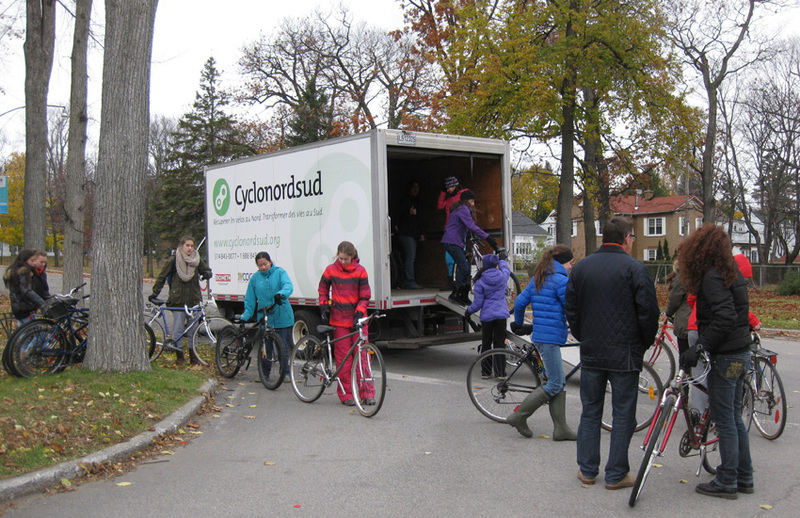 We put all bikes in a truck and Cyclo Nord-Sud transports them back to its headquarters in Montreal. How does an autonomous bike drive work ? 1. 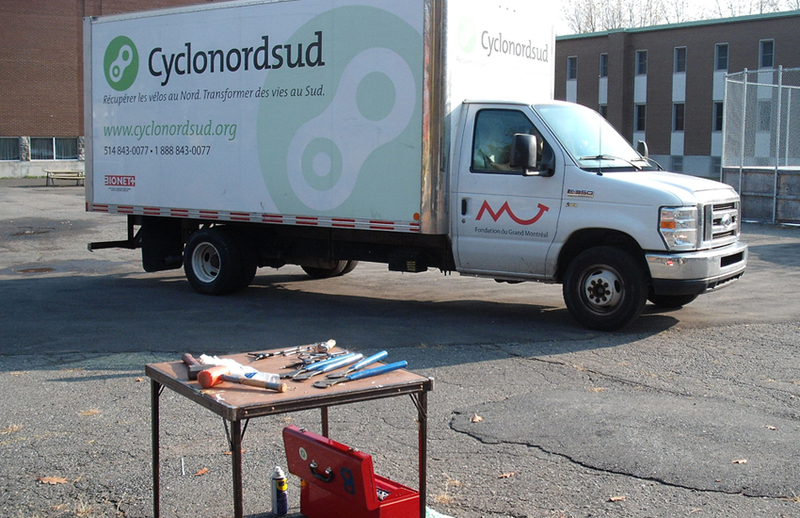 Cyclo Nord-Sud sends you everything you need to receive donors, including tools, donation forms, etc. 2. During the bike drive, you fill the temporary receipts and give a copy to the donor (yellow or pink), keeping the white page for Cyclo Nord-Sud. 3. You have to arrange on a safe to keep the bikes (bike locks and chains could be lent) until Cyclo Nord-Sud comes to pick them up (on following days). 4. 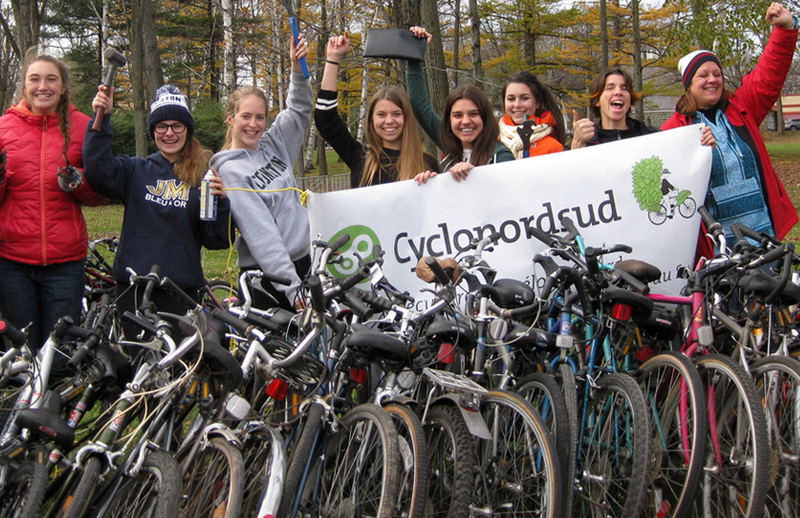 Cyclo Nord-Sud collects the receipts and bikes and transports them back to its headquarters in Montreal. 5. From there, Cyclo Nord-Sud handles the shipment of the donated bicyles! – Access to a covered site (for example a gym or a church hall, on the ground floor): the bike drive must take place in good or bad weather. A toilet is required. – A minimum of 4 volunteers, available from 9AM to 2PM on the day of the event. – An advertising campaign should begin two to four weeks before the day of the bike drive. Cyclo Nord-Sud will provide promotional material, practical advice and assistance if required. Visit our calendar to see existing bike drives and contact us to reserve a date! To help cover part of the bicycle transport and storage costs, a donation of $20 or more per bicycle is requested from each donor. 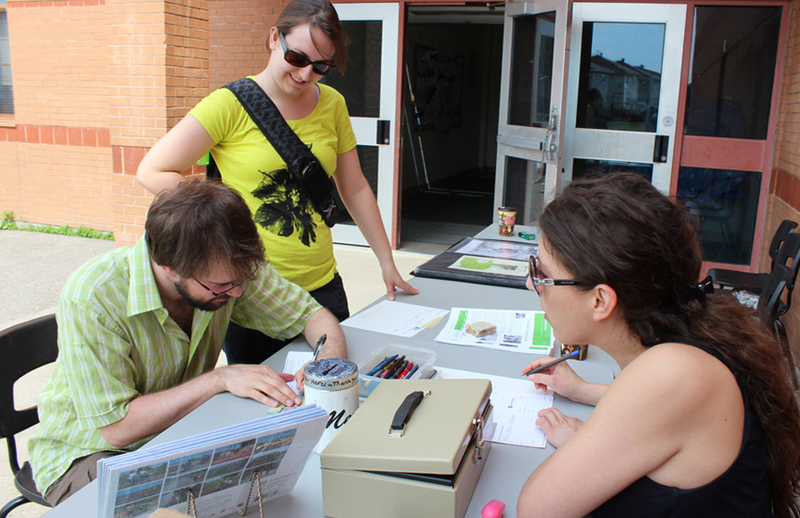 In exchange, Cyclo Nord-Sud will provide each donor with a receipt for a tax credit. The receipt will reflect the market value of the bicycle plus the amount donated. Most donors are happy to take advantage of this arrangement, which is tax efficient. You may mention the tax credit in the bike drive’s advertising. For the regions of Saguenay-Lac-Saint-Jean, Bas-Saint-Laurent, Gaspésie, Côte-Nord, Abitibi-Témiscamingue and Northern Quebec, a different organizational model and special arrangements are required. It is best to organise the bike drive as a separate event, otherwise your message risks being drowned out, and the success of your event compromised. Remember that it is possible to hold two bike drives on the same day.